Light up your spring landscape with some of the world’s best Daffodils. 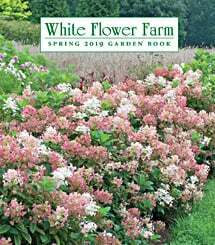 This exclusive mix includes 25 top-size bulbs of White Flower Farm’s The Works, a superb blend of Daffodils designed to provide a remarkable range of colors, fragrance, and bloom times. In addition, there are 5 bulbs each of 5 different Daffodil varieties widely considered to be the very best: ‘Marieke,’ a classic yellow Trumpet; ‘Tahiti,’ a soft yellow Double with orange accents; ‘Thalia,’ a pure white Triandrus heirloom; Narcissus poeticus var. recurvus, a fragrant Pheasant’s Eye Daffodil; and ‘Pink Charm,’ a Large-cup with pink coronas. These rugged, carefree bulbs are never touched by deer and will multiply over the years, producing an abundance of cheerful blooms. For color, performance, and variety, you cannot ask for a more stunning show. 50 bulbs total, not labeled. Large, bright Narcissus blooms are for many gardeners the first visible signs of spring. These vigorous, long-lived bulbs thrive joyously in sunny, well-drained places, are shunned by hungry deer and voles, and will thrive and multiply with little care on your part, creating a glorious horticultural legacy.